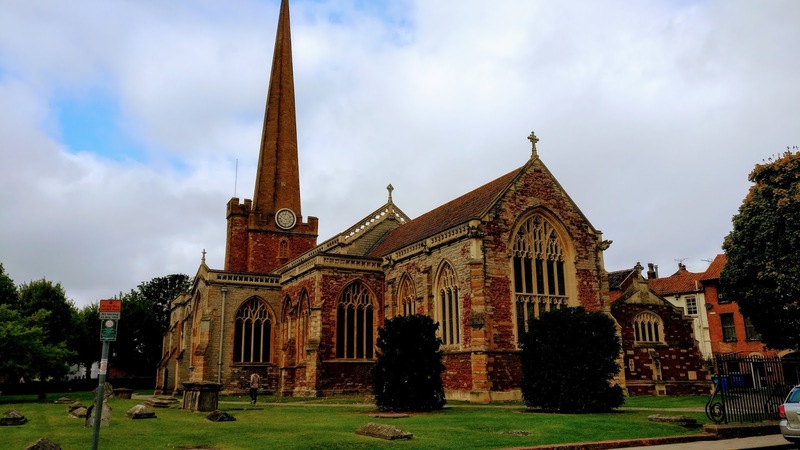 Here you can find out some information on the ancient art of church bell change ringing, who does it, why we do it and some history. There are 8 bells each mounted on a wheel and pulled by a rope that, while being rung, turns almost a full circle. To take part you don’t need to be highly intelligent, particularly tall or strong but there is a stone spiral staircase for access to the first floor Monmouth Chamber; ringing is however great fun. The bells are rung for church services, weddings, funerals when required, and any local or national festivals and celebrations. Our practice night is Monday from 7.00 – 9.00pm except Bank Holidays. Learning to ring depends on your own speed of understanding, the first step is to handle a bell, this can take a few weeks, then you can take your own time to learn the methods. Bell ringing is an extremely fulfilling craft, crossing all walks of life; it is lodged firmly in the history of our nation but needs more support from local dedicated people, if you’re interested please browse this site or contact us us to learn more. Alternatively seek out a local tower to learn and then let us know if this got you interested. Saint Mary's is the parish church of Bridgwater; the town grew around a suitable place to cross the River Parrett. The town has a rich history of farming shipbuilding, brick and tile making, engineering and manufacturing. Also, at one time the town enjoyed one of the highest ratios for the amount of public houses per head of population. Bridgwater is also famous for it’s annual fair in September and an illuminated Guy Fawkes carnival in November. Our Augmentation Fund - can you help us?